Will they be able to achieve success at the biggest International platform? Will they make their beloved Vishnu Sir proud, who is himself struggling with his not so perfect past? 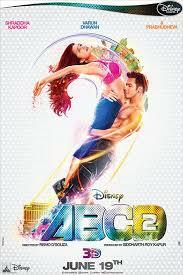 ABCD 2 is a grand 3D Dance Film which travels to the vibrant city of Las Vegas and is a bittersweet journey of love, friendship, betrayal, honor and redemption.